The 47th Annual AFSCME Council 13 Convention will be held at The Hershey Lodge & Convention Center, Hershey, PA, April 26 through April 28, 2019. The Convention Call was mailed on Wednesday, February 13, to all Local Presidents. This year’s theme will be “Team AFSCME,” as it is more important than ever that we stick together as a team – a team of public service workers and a team of union members focused on a common cause. 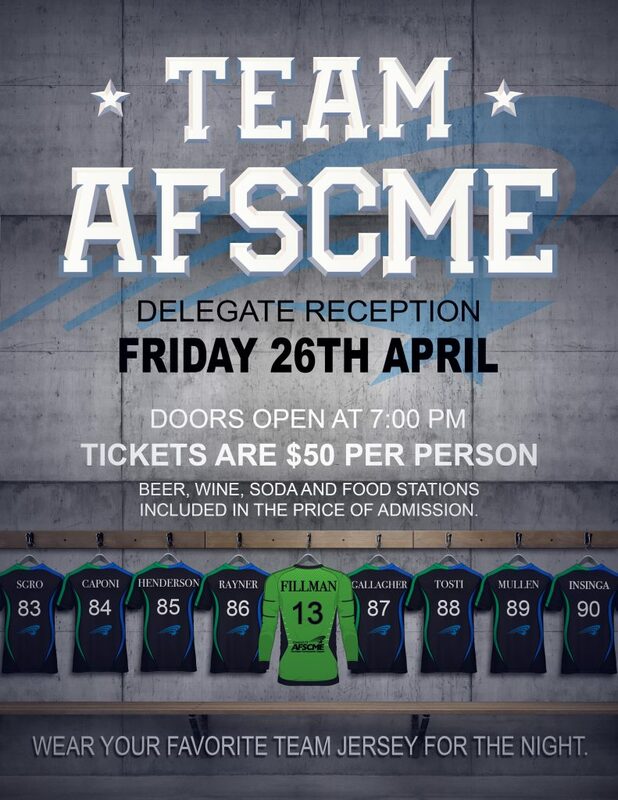 Be sure to join us at the Friday Night Delegate Reception and wear your favorite team’s jersey for the night! Before the Delegate Reception, at 6 p.m., members have the opportunity to take part in one of three different workshops, including First-Time Delegate Orientation, Preparing Your Grievance Packets and Internal Organizing! Room rates are $174 Single or Double + 11% tax per night, for a total of $193.14 per night. All reservations must be made by March 24, 2019. Reserve here! STATE EMPLOYEES: Please request union business leave from the Education Department no less than 25 days before the date of the conference of convention in order for the request to be considered by the Commonwealth of Pennsylvania. More information and forms can be found here.